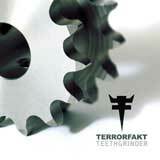 Acidic and harsh, the music of Terrorfakt is unavoidable. 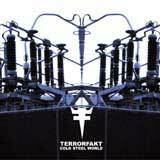 The NYC based industrial band has been a part of the electronic music scene since 2001, releasing several albums on their own before releasing “Destruction” on the Tinman label. Their ruthless sound draws the listener in and never lets go. 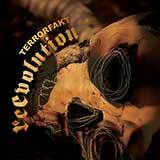 This combined with their relentless touring has built up a strong underground fan base for Terrorfakt and has given them the chance to release “Cold Steel World” on Metropolis Records. 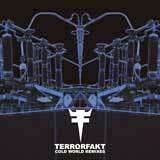 And how would one describe “Cold Steel World?” Hmm that's a tough one - perhaps "Terrorfakt return with their second release “Cold Steel World,” brutal rhythms designed to turn any dancefloor into a warzone like frenzy," a statement that definitely captures the essence of the chaotic beats and distinctive sound featured on “Cold Steel World.” The fast paced and heavy beats bite at the eardrums and reverberate through the body, blurring one's vision and rapidly transporting their being to the pandemonium of a rave, certainly guaranteeing continued success for the band.